Early in 1915, a group of business men in Detroit, Michigan organized the first Kiwanis Club with a purpose to do good things for their community. Very soon clubs in other cities were formed and in 1917 Kiwanis went international and adopted the motto “We Build” to demonstrate their commitment to community service. Five years later 50 business men in Clarksville met on May 18th, 1920, to charter the 220th Kiwanis Club of Clarksville. That first summer the young club started a long tradition of community service by challenging the Rotary Club to a baseball game to benefit the Clarksville Hospital (where the Clarksville Academy is now located). The “rip-roaring” game attracted over 600 citizens and the “upstart” Kiwanians won the game 19-13. Through the years Kiwanis International and Clarksville’s major emphasis has been “Young Children: Priority One”. For example, during the Depression the club supplied food and clothing for young families. Later, free baby carriers have been presented to new parents and Kiwanians have instructed children on bicycle safety. Recently, Kiwanis has sponsored the Children’s Health Fair at which over 300 low-income children receive free medical, dental, and eye exams, as well as prizes including bicycles. Each year the club hosts over 100 Head Start youngsters for lunch and a visit from Santa with a sack of toys for each child. 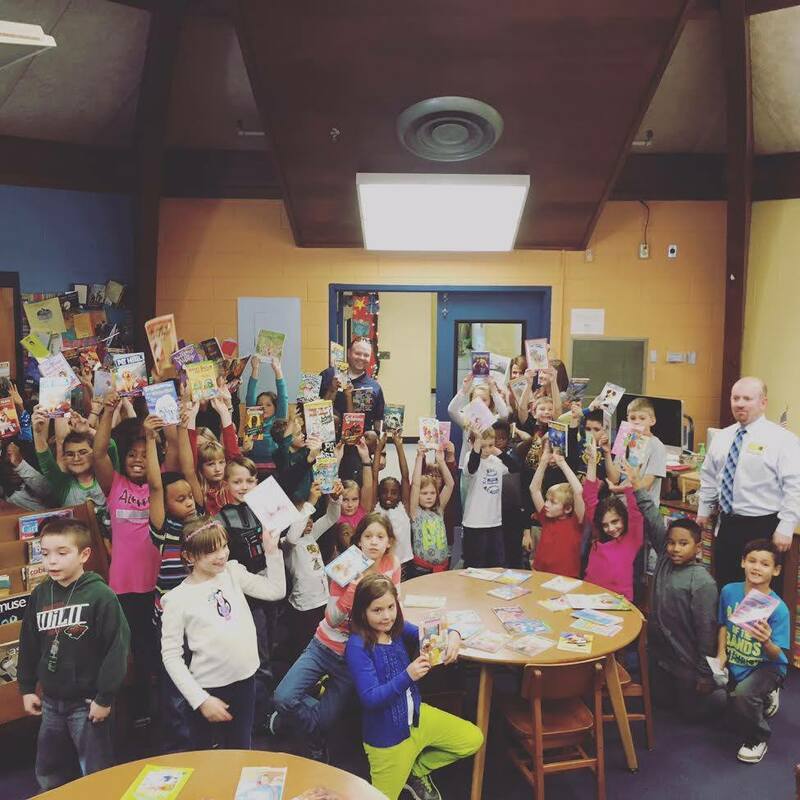 Another project is Reading is Fundamental which Club members distribute free books to third graders in local schools to encourage reading. To encourage young people to provide community service the Clarksville Kiwanis Club formed Key Clubs at Clarksville High in 1946 and 2004, at Montgomery Central High in 1978 and 2005, and at Clarksville Academy in 1984. They also founded a Circle K Club at Austin Peay in 1956. The members of these student clubs quickly learned the value of community projects and work with Kiwanians at their annual fund-raising events as Pancake Day and the Kiwanis Rodeo. These events raise the money necessary to provide services to the Clarksville area. Under the leadership of Club President Harold Pryor in 1957 the “History of Montgomery County” project resulted in Ursula Beach’s book called Along the Warioto. The first edition was presented to the club in December, 1964, and has now become a collectible. Since that first meeting, Clarksville Kiwanians have met at noon every Tuesday for over 90 years. The club has met at several places over the years including the Woman’s Club (where First Federal Bank is now located), Montgomery Hotel, Royal York Hotel, USO, Civic Center, the Riverview Inn, and now the activities building at First Baptist Church. Through the years the club has sponsored the formation of eight new clubs: Springfield in 1922, Hopkinsville in 1923, Dickson in 1927, Dover in 1947, Centerville in 1958, Oak Grove T-K-C in 1963, Hilldale in 1968, and St. Bethlehem in 1993. The club is in the 14th Division of the Kentucky-Tennessee District of Kiwanis International which has about 300,000 members worldwide. The Clarksville club became well know for good fellowship from the early days and for 49 years hosted an InterCity Meet and Ladies Night at Dunbar Cave during the full moon in July. Two to three hundred Kiwanians and their wives were usually in attendance from Kentucky and Tennessee. Tradition maintains that the event was never rained out, but sadly it had to be discontinued after 1972 when Dunbar Cave was no longer available. Unique in Kiwanis International history, the club has had four presidents over three generations of one family: charter member Frank J. Runyon in 1924, his son, Charles V. Runyon, in 1932, his sons Charles V. Runyon, Jr., in 1970-71, and Frank Runyon, II, in 1974-75. Our club has contributed leadership to the Kentucky-Tennessee District with Lloyd M. Easterling, Sr. as Governor in the 1940’s and Jim Mann in the 2000’s. Nine other past presidents have served as Lt. Governor: Griffith G. Foskett, Jack Frost, Tommy Edwards, Ted Seloff, Paul Conroy, William B. Busby, Paul Schaaf, James T. Mann, Ron Hunter and David Harper. Kiwanis has always recognized regular attendance and A.J. Head topped the list with 52 years of perfect attendance out of 58 years. Recruiting new members has been very important to the growth of the club and Ron Hunter holds the record with nearly 50 new members. The club has won many awards from the K-T District over the years including the Diamond Growth Award for over 30% membership growth in 1977 when Ron Smithfield was president and first place for Multiple Service in 1987 when Mack Shell was president. Highlights of 1986-87 included the first annual Children’s Health Fair where over 300 low-income children received free health checkups and pro football quarterback Joe Gilliam’s sharing his experience of drug abuse with local high school students. Two local citizens were nominated by the Clarksville club and awarded Kiwanis International’s Robert P. Connelly Award for heroism: Roger Hagle, who in 1981, rescued two young children from their burning home, and David Rodriguez, who in 1983 on Christmas Eve while wearing a Santa suit, rescued a woman from her burning house. After the January 22, 1999, tornado devastated downtown Clarksville and wrecked the Civic Hall, the Club donated $3500 to the tornado rebuilding fund. Fifty-six of the club members had their business destroyed or damaged in that terrible tornado, but fortunately, no one was killed or hurt. While Scott Bryant was president the Club donated to the City Fire Department a “Fire Safety House” trailer used to train children how to survive fires and tornados. More recently the Club provided the Clarksville/Montgomery County library with a Kiwanis Learning Center for the children’s section of the library. Young children can play with learning toys and read. The Memories of Service and Sacrifice Project has sponsored an “Interview a Veteran” Essay Contest for six years with more than 8000 students having interviewed local veterans and explaining the importance of their service and sacrifice to our country. In addition, the Club, working with other community groups, has collected and mounted a permanent “Faces of Valor” display of local veterans pictures in the Montgomery County Court House. A booklet with the story of each of the 244 veterans is being published in the fall of 2006. The money to fund these numerous projects comes mainly from the Kiwanis Rodeo and Kiwanis Pancake Day. Community support of these fund-raisers in vital to the continued good works of the Club. 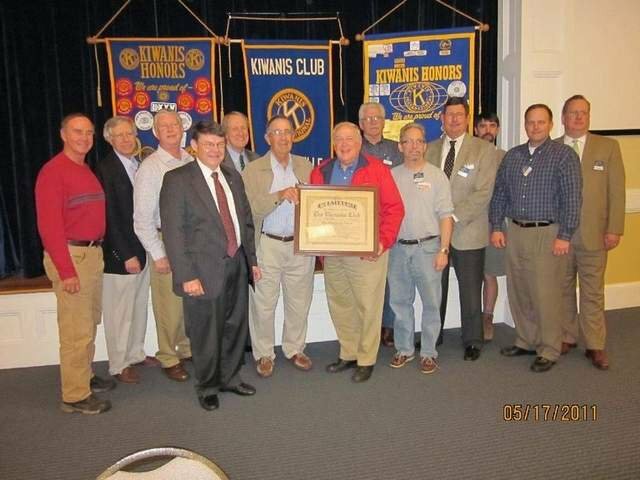 The Kiwanis Club of Clarksville, over 115 members strong, continues to work as it has for nearly 100 years, for the betterment of Clarksville and Montgomery County while fulfilling the Kiwanis motto “We Build”.